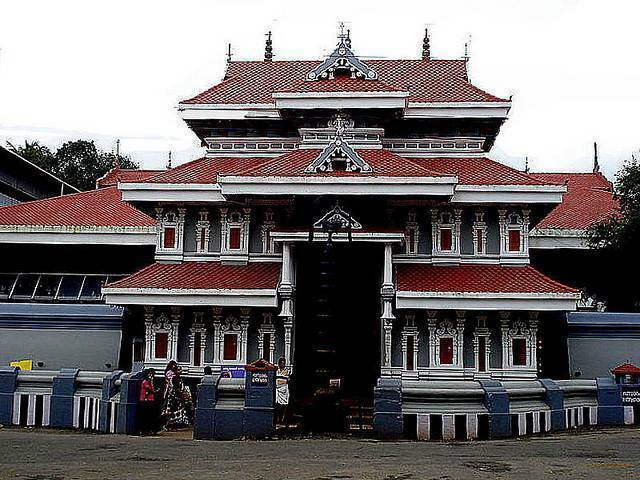 The Temple is located nearby Vadakkumnathan Temple and an important participant in Pooram festival. The main deity of the temple is Lord Krishna and the idol is believed to be moved from a small hamlet to current location some five centuries back. As per Hindu Mythology the idol was handed over to a Childless Namboodri couples by locales of the hamlet due to communal threats. The couple considered the idol as their unborn child and installed it in a small temple built. Tourists can also see the Chaitanya of Goddess Durga (Bala Badra Kali as mentioned here) on a granite panel. Every morning around 5 a.m. oil abhisekam, followed by herbal pack and Milk Abhisekam are done for the main deity in this temple.